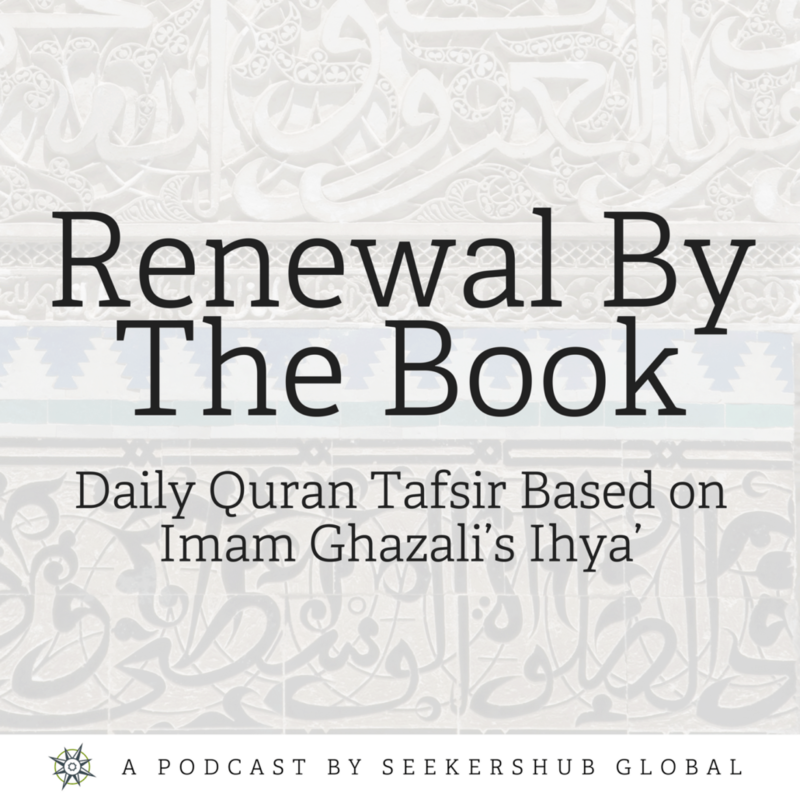 In the tenth lesson of Renewal by the Book we are joined by visiting scholar, Shaykh Riad Saloojee. Shaykh Riad reviews key verses of the Quran that correspond to Imam Al-Ghazali’s chapter on spiritual routines. He covers verse 28 from Surat Al-Kahf, the 18th chapter of the Quran. It is difficult for the nafs to focus on Allah and continue in its remembrance of Allah and so to be able to do so one needs to find the company that will push us to do so and so we can imbibe their characteristics. Allah then warns us of following those who are not righteous because the consequence of that is that your heart will be affected by your lower self. Instead of following Allah’s commands you make your own lower self your idol. Shaykh Riyad reminds us that even if one is doing community work or advocating on behalf the community, their work should not be devoid of remembrance of Allah. The lack of remembrance can me one more prone to mistake and to following our base self over doing what is right or most pleasing to Allah. Shaykh Riyad concludes with council to the listener to always prioritize the remembrance of Allah because it gives one a balanced perspective and makes one less prone to extremes of action.